JAY ALEXANDER FROST VS MACHO MAN RANDY SAVAGE, WWE 2K19 - KABALYERO - PLAY, BLOG & EARN! VAW Champion Jay Alexander Frost faced the legendary Randy "Macho Man" Savage (RIP) for the NWA World Championship in WWE 2K19. 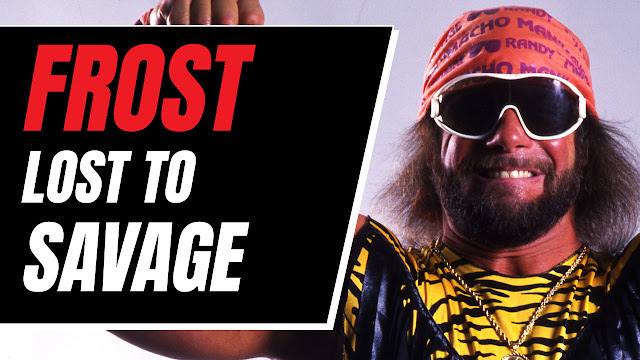 The match between Jay Alexander Frost and Macho Man Randy Savage happened in WWE 2k19 a wrestling game featuring WWE Superstars. The video of the match was uploaded by Jay Alexander Frost on his YouTube channel, Jay Frost Plays (https://t.co/IPLwrivuno), and I was asked by Jay Alexander Frost to watch and comment on it. Want to see more? Help support the channel by downloading WTFast FREE (http://bit.ly/trywtfast) or through Streamlabs (https://streamlabs.com/KabalyeroPH) or SubscribeStar (https://www.subscribestar.com/kabalyero). Thank you for your support!